You know this is how democrats really feel. They just don't have the balls to own it. Illinois Democratic Gov. Pat Quinn says that his campaign did not actually read a controversial article comparing black Republicans to Jewish Nazi collaborators before tweeting it several times to the public. 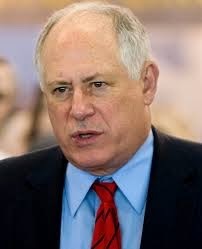 Quinn has been under heavy fire from the Jewish and black communities since the Washington Free Beacon first reported that his campaign had tweeted—and then quietly deleted—several messages urging backers to read a Chicago Sun Times article that compared conservative black voters to Jews who collaborated with the Nazis. Quinn—who would not address the controversy during a Holocaust memorial event yesterday evening—had his campaign issue a statement claiming that nobody on staff “thoroughly” read the article before tweeting it out several times.